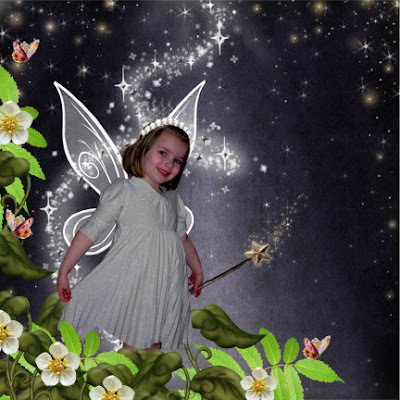 My niece, "Princess Fairy" Faith in the enchanted forest. Day dreaming and making wishes. 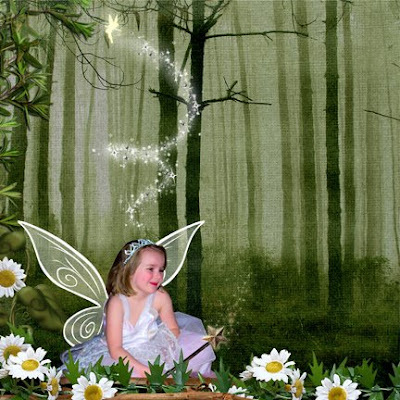 Digital kit from: catscrap.com ~ Madame Mim and Milla Designs Enchanted Forest. I am so looking forward to your class this Saturday. I have been so interested in digial for a while now. I am glad I will finally get help. Love your blog. I am so happy that Terry Lee told you about my Photoshop class at K2. I have missed seeing you at Scrap Happy. I stopped attending the crop night because it was a little too far to drive late at night by myself. I can’t wait to see you this Saturday. I have a class list that I can email to you for Saturday's class. Please leave a new comment with your email address so I can send you the information. I will also post the information on my blog. What new with you? How is your grandson? Paula, this are adorable...talk to Karen if you want to purchase the scrap and dash in a kit...I think we can do that.